K.S. Joseph MD, PhD is a Professor in the Departments of Obstetrics and Gynaecology and the School of Population and Public Health, University of British Columbia and the Children’s and Women’s Hospital and Health Centre of British Columbia, Vancouver, Canada. 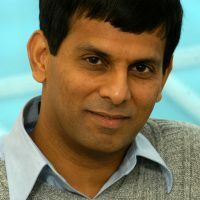 His work is supported by an Investigator Award from BC Children’s Hospital Research Institute. He is a member of the Scientific Advisory Committee of the Women’s Health Research Institute. Dr. Joseph received his MBBS (Batch of 1977) and MD (Community Medicine) degrees from Christian Medical College, Vellore, and a PhD in Epidemiology and Biostatistics from McGill University, Montreal, Canada. His research interests include issues related to preterm birth, growth restriction, and perinatal and maternal morbidity and mortality. In 2017, he received a Distinguished Achievement Award for Overall Excellence (Senior Faculty) from the Faculty of Medicine, University of British Columbia. My publications are listed here.